Net neutrality is a slippery concept. The term, coined by Tim Wu underlies the basic principle that has led to the success of Internet-businesses that operate the network may not discriminate between different data packets. The principle of Net Neutrality states internet service providers should enable access to all content and applications regardless of the source. It promise all the internet users to be treated equally on the internet, not discriminating or charging differentially by user, content, site, platform, application, type of attached equipment, or mode of communication. Where all this debate started? 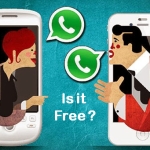 The debate on network neutrality in India started after Airtel, a mobile telephony service provider in India, announced in December 2014 to charge additional rates for making voice calls (VoIP) from its network using apps like WhatsApp, Skype, etc. On 10 February 2015, Facebook launched Internet.org in India with Reliance Communications. It aims to provide free access to 38 websites through an app. Only Bing was made available as the search engine. These were few starting points for the debate, but actual fire in the forest was when Airtel Launched open marketing platform called “Airtel Zero”. Airtel Zero is an open marketing platform that will allow customers to access mobile applications at zero data charges. Mobile app makers can register with the platform to give customers toll-free access to their apps. This debate in India follows the United States Federal Communications Commission’s (FCC) decision to enshrine net-neutrality in the US, thereby preventing Internet Service Providers (ISPs) from creating fast or slow lanes in the pipes which they operate to carry data. Long before the US, some other countries had adopted net-neutrality regimes — the Netherlands as far back as 2012. This argument by these Telecom companies on the loss of revenue and profitability have been well contentious various reports by ratings bodies like CRISIL, ICRA and CARE which highlight the rapid growth in data revenues for telcos; they themselves have been publicizing robust double digit growth in revenues on the back of higher data revenues. The big three – Airtel, Vodafone and Idea – have all announced high growth in net revenues in the quarter ending December 2014. As per Telecom Regulatory Authority of India (TRAI), in the quarter ending Dec-14, data revenue contribution to ARPU (Average Revenue per User) was 16% for GSM subscribers. In the midst of strong campaign on net neutrality, Airtel seems to find itself at the receiving end. There has been huge uproar on various social media platforms for “Airtel Zero”. And multiple debates haves been initiated by various Internet activists demanding the withdrawal of the plan by Airtel. Airtel in response has said its ready for debate but asked not spread falsehood. “We are totally in favour of having debate, but a debate and spreading falsehood are not the same thing. I can disagree with you but we should not lie about you. We thought clearest way of countering myth was laying out of our four pledges on net neutrality in public domain, making sure that everyone was aware about our position,” Airtel Consumer Business Director Srinivasan Gopalan told PTI. Airtel in the mid of all this has launched ‘Zero plan’ early this month. Customers will be able to get free access to mobile applications under this plan. But customer has to pay some fees to Airtel for coming on to Airtel Zero platform. Airtel has reached to its customers and employees through email and social Media. The company says that it “will do what it takes to help bring every Indian online, rich or poor; no blocking, no fast lanes, never done it, never will; enable all developers, big or small, on an equal basis and the dream of digital India is our dream too”. Cellular Operators’ Association of India (COAI) has supported for net neutrality and reaffirmed to the strong vision of Government’s ‘Digital India’. COAI has issued a statement, saying “An important and complex subject such as this, which is still being debated in many countries, which has taken years to conclude in many other countries and which is the subject of litigation in some, should not be left to the opinion of a few. We support an open Internet and believe that consumers should decide what to do online. Our job is to enable consumers to benefit from that freedom. We offer choice and do not block or provide any preferential access to any website or app. We believe our role is to enable all services reach customers across the country. One of the key factors to enable this is that same rules must apply to the same type of services, including mobile and IP voice services”. Seeing the uproar on the issue and impassioned debate on the issue, TRAI issued a consultation paper, calling it ‘Regulatory Framework for over the top (OTT) services’ dated 27 March 2015. It has asked the stakeholders to send their comments preferably in electronic form by 24th April 2015 and counter comments by 8th May 2015 on an email id advqos@trai.gov.in. You can view the complete paper at the link provided (TRAI_Consultation_Paper). Net Neutrality can be studied under chapter 5 of the paper. In reference to the outrage mob against the issue on social media, Rahul Khullar, Chairman of TRAI said, “There has to be democratic debate…Shrill voices do not win debate. Cool headed reasoned arguments on both sides are need of the hour. There are different practices in different jurisdictions. UK and parts of Europe do not practice strict net-neutrality. Even in US zero rating plans are permissible,” he said, while replying to a question on whether India was in a position to align with the global net neutrality principles. Both sides have their argument. We have consultation process running. Let everybody’s comment come in place, then we will decide further course of action”. According to the various sources, TRAI has already been flooded with over 800,000 petitions against any attempt to throttle the concept of net neutrality. As a regulator, TRAI ought to focus on ensuring fair, equitable and open markets for all future innovators and users. It has to ensure that any policy that creates sub-monopolies on a public utility is neither market-friendly nor in the larger public interest. Though some activists are asking TRAI to extend the April 24 cut-off and bring the document in regional languages as well. What is your say in this. Comment your opinion in the comment section below. We think every voice is important and need to be listened. net neutrality is one big issue in India now and we need to raise our voice in this regard. The article you have written above clearly says a lot about net neutrality and its possible impacts on India. Nice article.